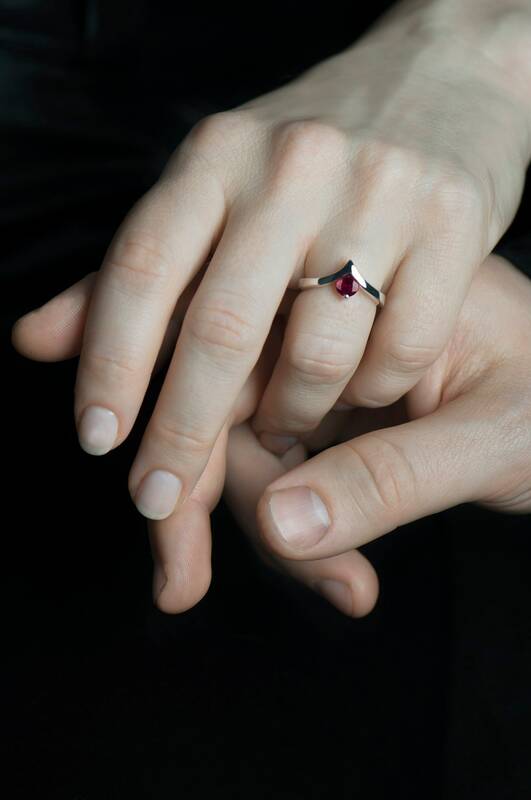 Not only engagement is a great occasion to give your SO the ring. 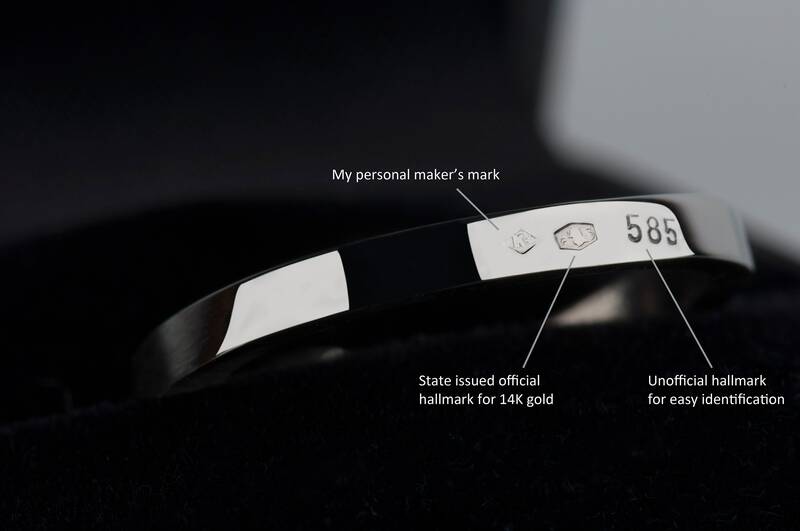 It's of course a very meaningful moment for the relationship, but giving jewelry also after the wedding is a beautiful way to show an unchanged strength of your love. 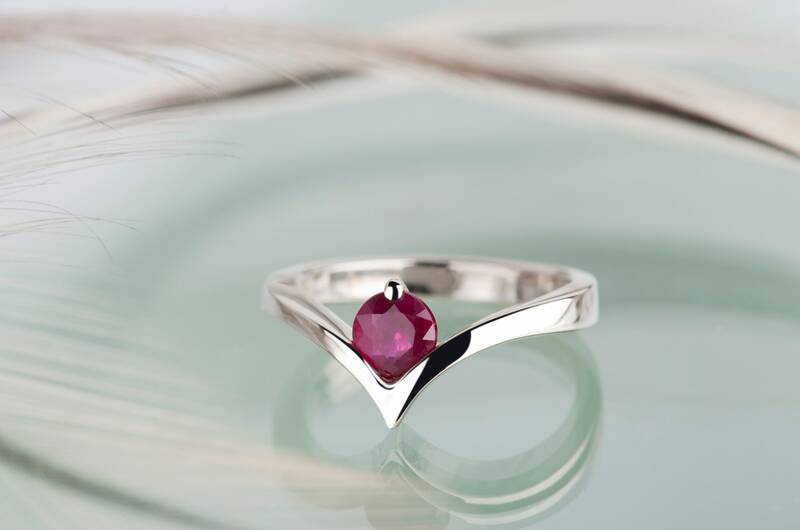 That's why I offer you an anniversary ring with a beautiful genuine natural ruby - let your wife know that she's still as precious to you as the day you proposed. 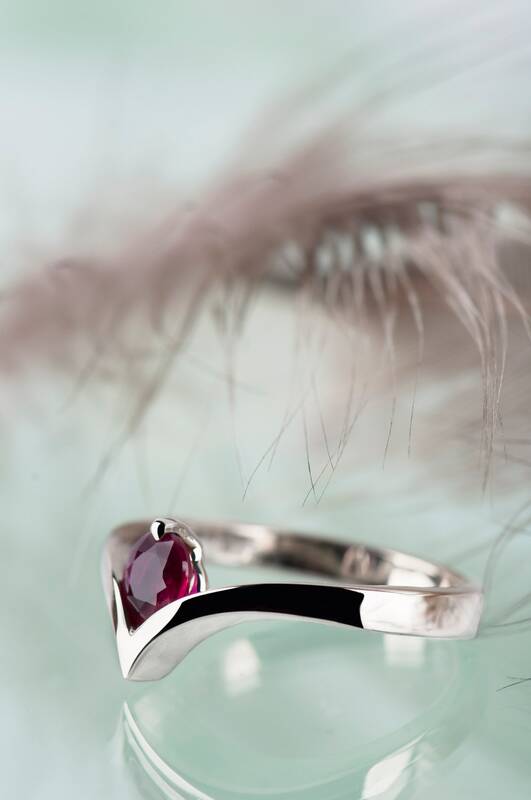 This gold ruby ring can be a perfect engagement ring as well - it's elegant, simple and comfortable so your fiance can have the ring always with her. 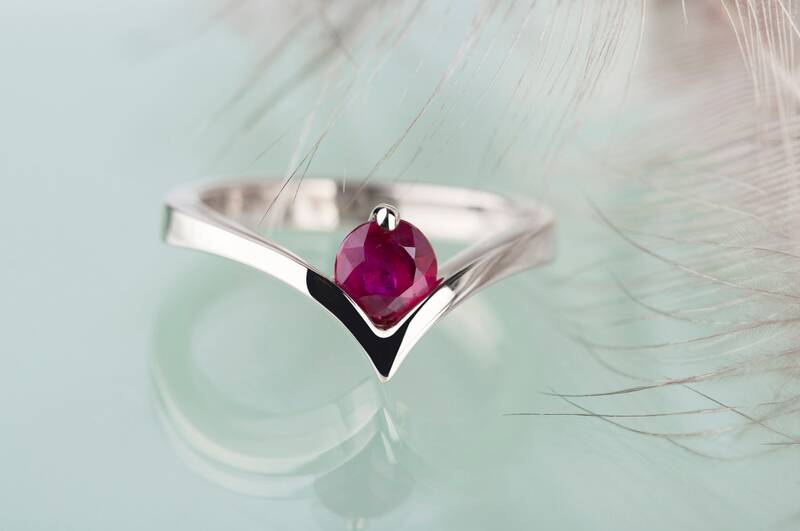 Genuine natural ruby always has rich inner structure and inner cracks. There are no two stones which look alike. 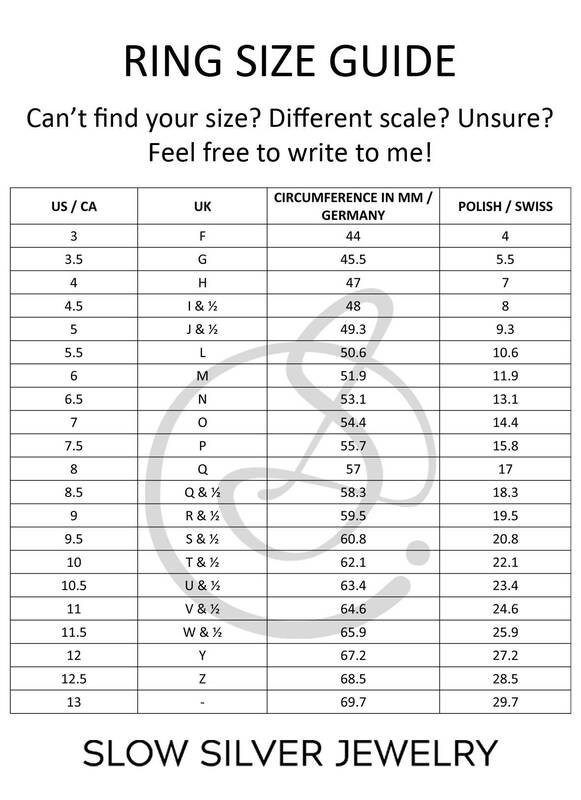 Please keep in mind that handmade items, especially with natural components, are unique and every piece will be a bit different. 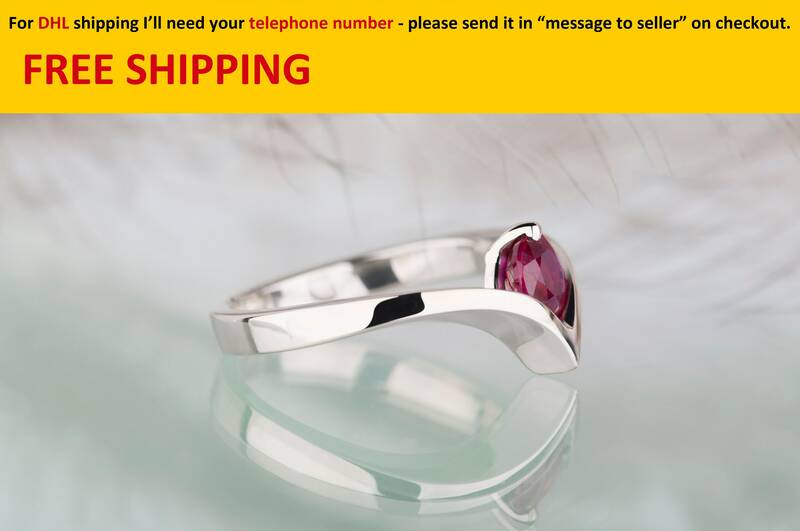 This ruby ring is entirely made by hand and I need up to 14 days to make it ready to ship. 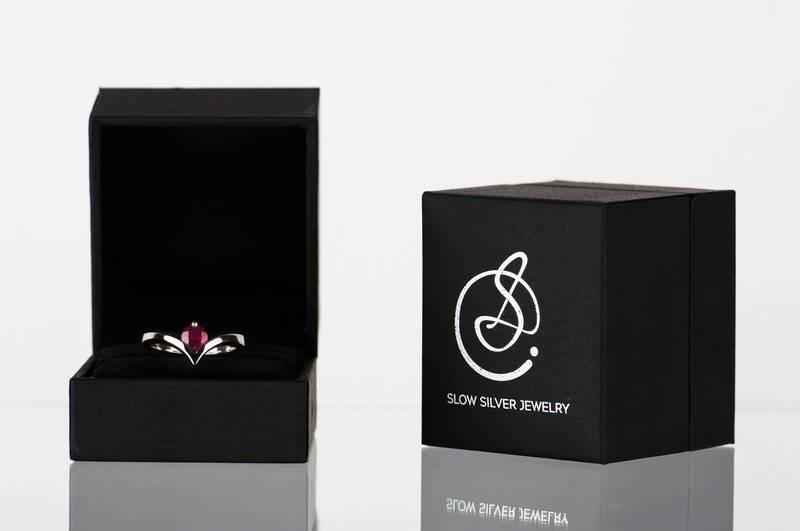 The ring will arrive in an elegant black jewelry box which you can see on the last photo. 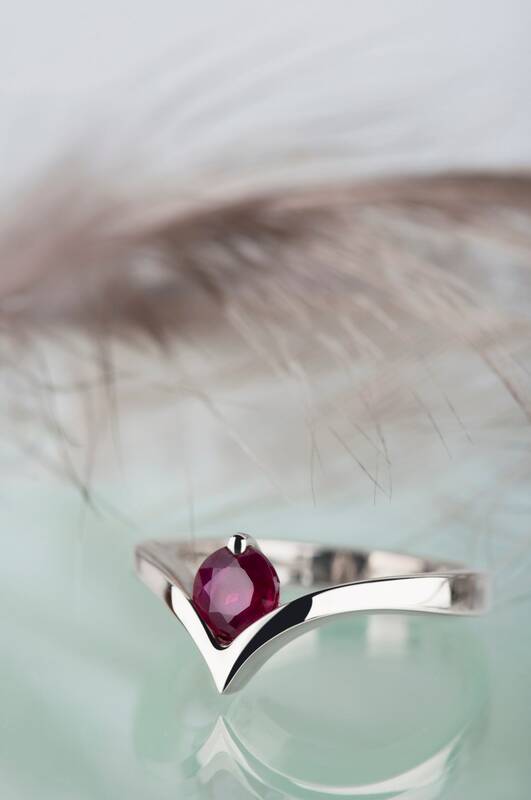 This ring is absolutely beautiful! 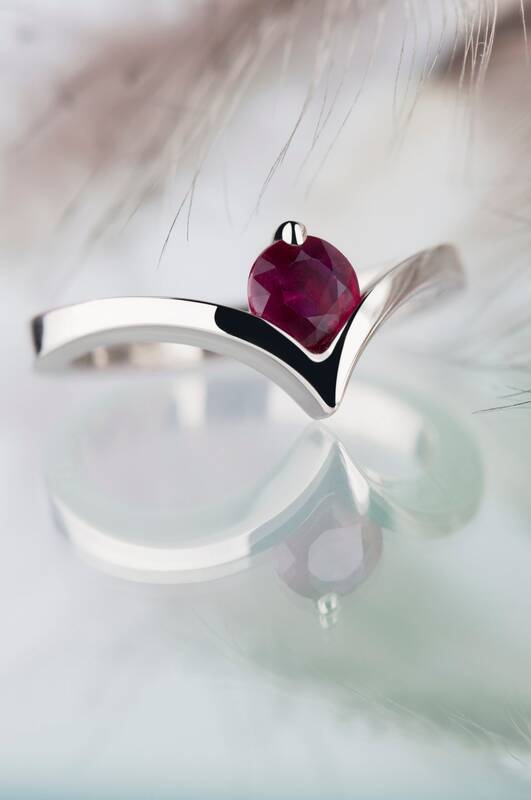 Precisely made - you can see the excellent jeweler's workshop. The natural stone is also lovely. I am very happy.